FFA - Pfizer increases products promoted on Al Jazeera America. Pfizer resumes position as a top advertiser on Al Jazeera America adds two more products to list. The email for this article was deactivated after Pfizer stopped advertising. Pfizer has resumed its position as a top advertiser on Al Jazeera America and added two products to the list their company promotes on Al Jazeera America aka CurrentTV. Pfizer recently started advertising Toviaz and Viagra during numerous shows that air on Al Jazeera America. Pfizer has promoted Chantix and Lyrica in the past two months. Florida Family Association has sent out two email alerts regarding Chantix and Lyrica advertisments since April 15, 2013. Some of Pfizer’s better known products include: Advil, Centrum Vitamins, Lipitor, Preparation H, Robitussin, ThermaCare and Zoloft. 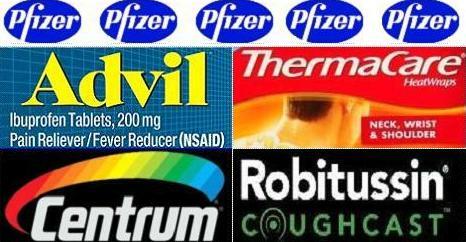 Click here to see Pfizer’s many other products. Advertisements for Chantix and Lyrica stopped airing for almost three weeks following Florida Family Association’s email alert. However, Lyrica advertisements resumed airing each hour on Al Jazeera America aka CurrentTV last week. Please send your email to Pfizer officials. Pfizer certainly has the right to choose where they spend their advertising dollars. You have the same right to object and choose another pharmaceutical company's products. Florida Family Association has prepared an email for you to send to seven Pfizer officials.